Taking the kids outside to play can be a lot of fun, but when playtime is over you’re left with a mess – and outdoor toys can take up a lot of space. So how can you put those toys in order? There has to be a better way than piling it all on the porch or leaving it strewn about the yard. But the first step is to get creative. 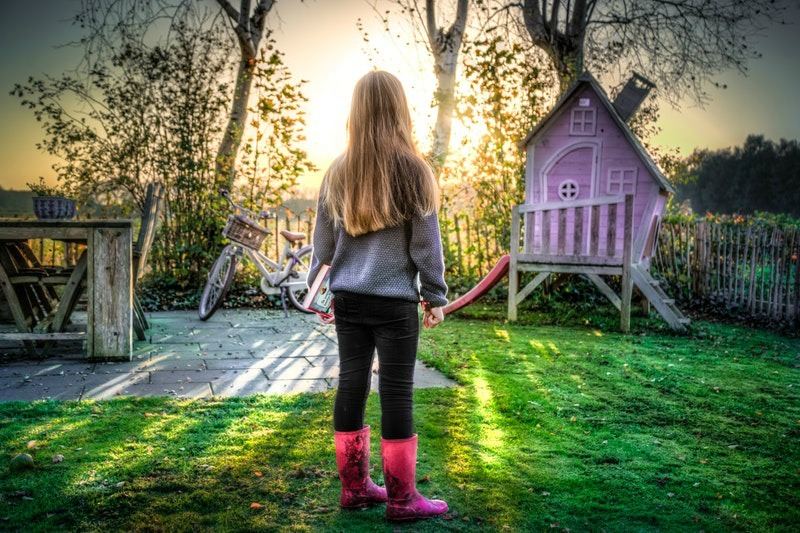 With better backyard solutions, you’ll not only be able to put your yard in order but make it more likely that your kids will participate in the cleanup efforts. Get started with these four simple yet silly strategies; by the time you’re done, you won’t recognize your yard. How many cars, bikes, and other ride-on toys does your child have? If the answer is more than one, you’ve probably found yourself wondering where to put them. The obvious answer is in the garage – but not your garage. Instead, use some PVC pipes and paneling to create a mini-garage just for your kids’ vehicles. The kids can drive their little vehicles right in and park them for the night, and the overhead covering will keep them dry and prevent them from fading in the sun. Those little cars will look so good you can pass them along to the next sibling – or offload them on the neighbors. If you want your kids to put things away, you need to make it easy. Inside, that means placing toys on kid-height shelves, putting picture-based labels on containers, and making sure that everything has a place. Well, the same principles apply outside, as well. Invest in a small storage shed and add outdoor shelving to hold items like sidewalk chalk, bubbles, tennis rackets, and other toys. Higher shelves can be reserved for your garden tools, buckets, and sponges for washing the car, and anything else you’d normally stick in the shed. Whether it’s a little baseball or a giant bouncy ball, you can’t put balls on a shelf unless you want to spend all of your time picking them up, but where are you going to put them? Though you could invest in an outdoor storage bin, you can also pile toy balls and other unwieldy items in an old toy box in the garage, put them in milk crates, or even upcycle your old Pack-and-Play for this purpose. Now that you’ve got a shed to keep some of those toys in, make the backyard more exciting by rotating some of your kids’ toys out, either seasonally or when they seem bored with the current selection. Items that are out of the current play rotation can go in sealed plastic tubs or up on higher shelving. Your kids can be creative with what’s available to them, or they can use the rotation schedule to try out new games or invent something entirely new. Left to their own devices – or with a little help from mom – the kids can turn the backyard into a music station, an interactive video game, or anything else. The sky’s the limit!